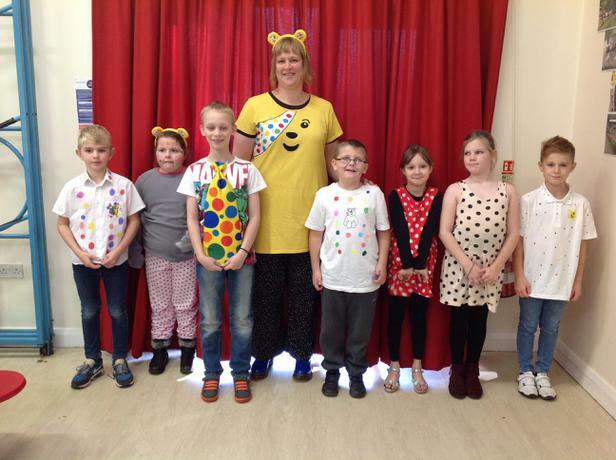 We would like to introduce our new school council. We would like to introduce our new Head Boy and Head Girl for 2018-2019. 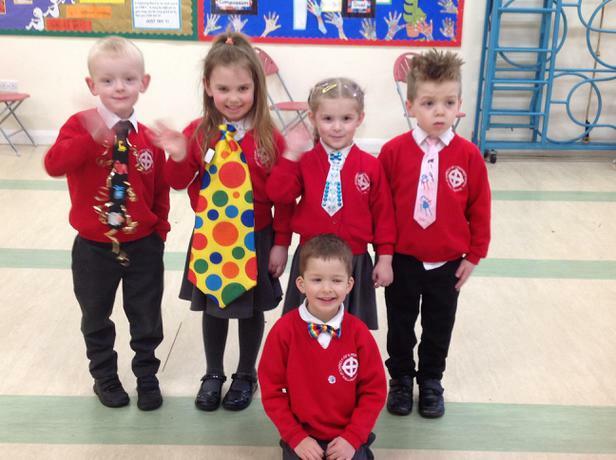 Everyone looked amazing today wearing their tacky Ties as a fundraising event. 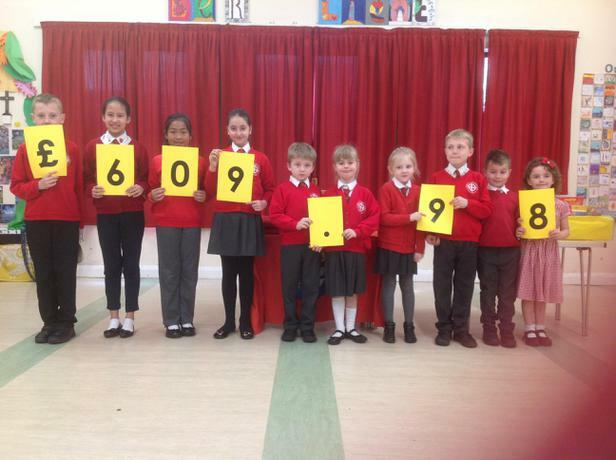 All money that was collected will be sent to our sponsored charity 'Save the Children'. 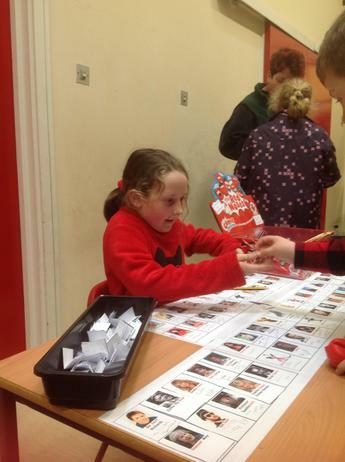 Today was the final day of a very successful week of fundraising organised by the school council. 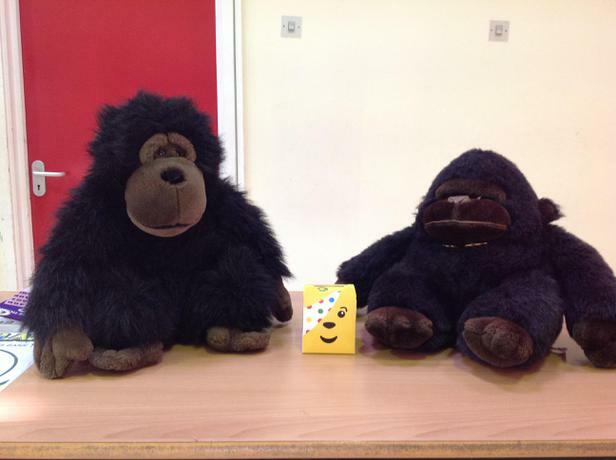 The week began with the sale of raffle tickets with a chance to win one of two 'Naughty Monkeys'. 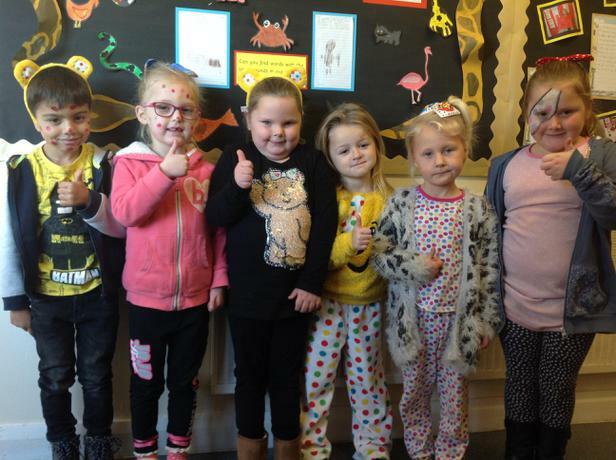 We then had an opportunity to win a yummy cake covered in chocolate fingers and smarties which had been baked by our very talented secretary, Mrs Rogers. Children had to guess how many smarties were used in the decorating of the cake. 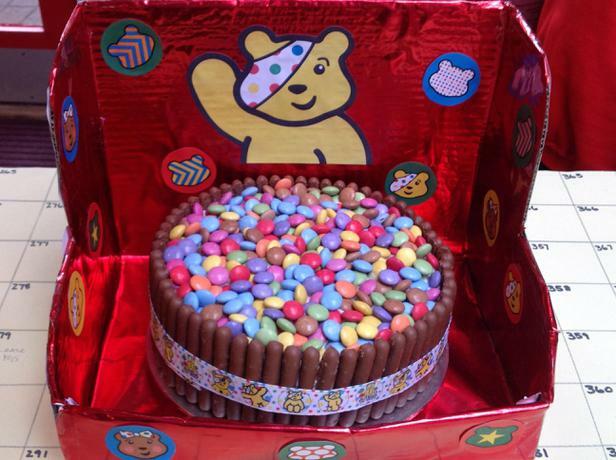 The winner of the cake was Hollie Wells in Pulman Class who correctly guessed that there were 285 smarties. Well Done. 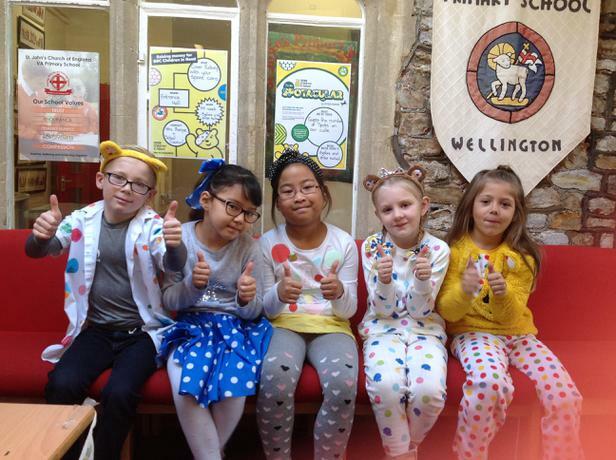 Children were asked to wear 'spotty clothes' on Children in Need' Day and the school was bright and colourful with dots of all shapes and sizes wherever you looked. 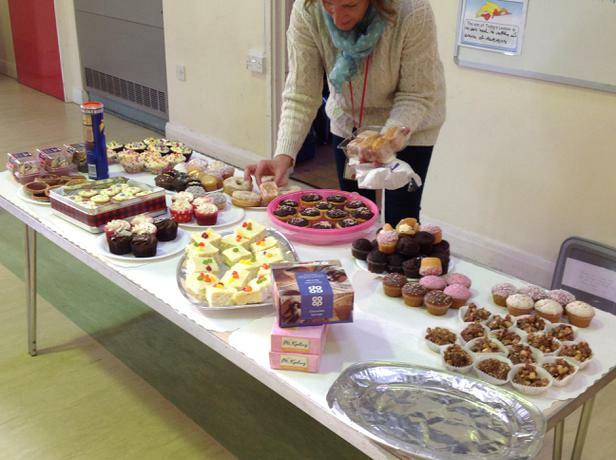 In exchange for this non-school uniform day, a payment of a cake or buns were accepted and then these were sold in our huge 'Great British Cake Sale' at the end of the day. 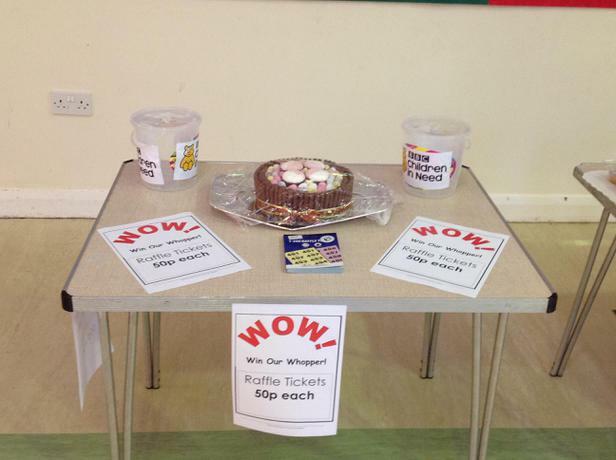 A very BIG thank you to everyone that has helped or contributed to our fundraising event today. 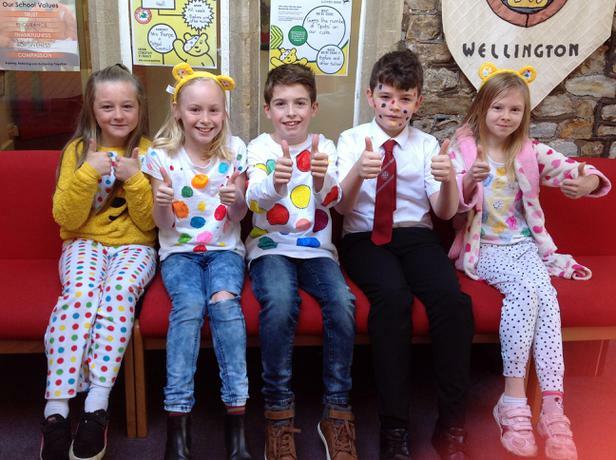 The school council set themselves a target of raising £350 We were a little worried at the beginning of last week as we didn't have a raffle prize (Pudsey Bear was a real draw for C. I. N). A massive thank you to Theo Paphitis (Sir!!!) 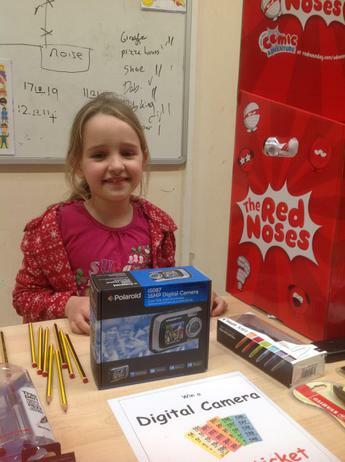 for donating some amazing prizes for our school event. 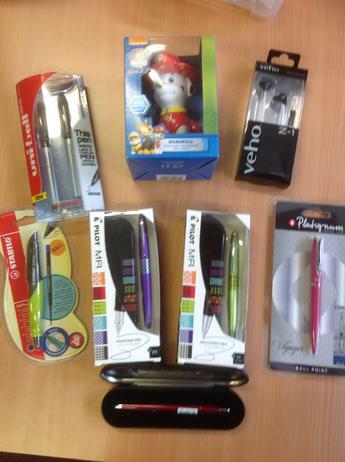 Runners up prizes for our RED NOSE DAY raffle (kindly donated by Rymans Stationary). 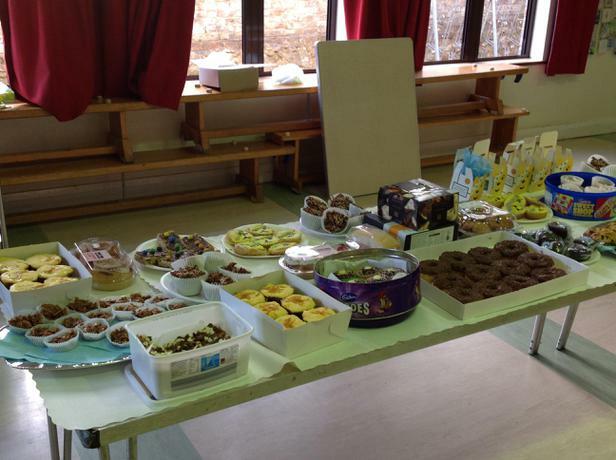 Raffle drawn at the cake sale 3.15pm. 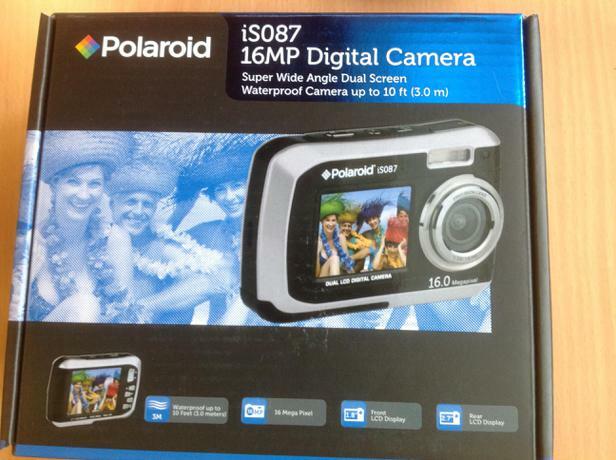 Buy your raffle tickets (50p) for a chance to win a Polaroid iS087 19MP Digital Camera which has been kindly donated by Rymans Stationary. 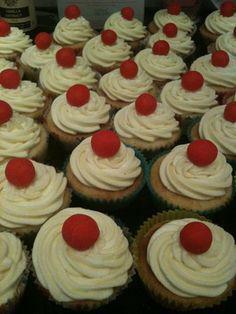 ST John's Primary School, Wellington are having a cake sale at 3.15pm in the school hall on Friday 24th March. 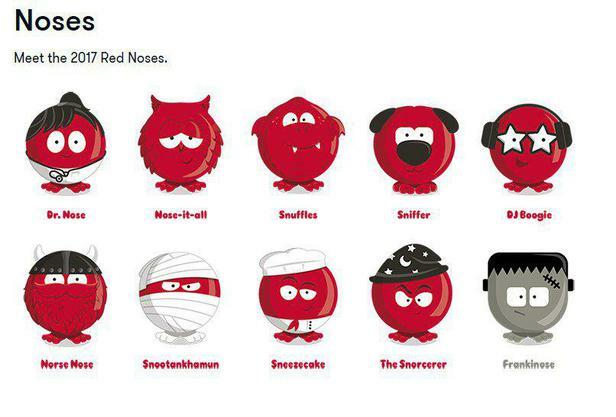 All proceeds to Comic Relief. 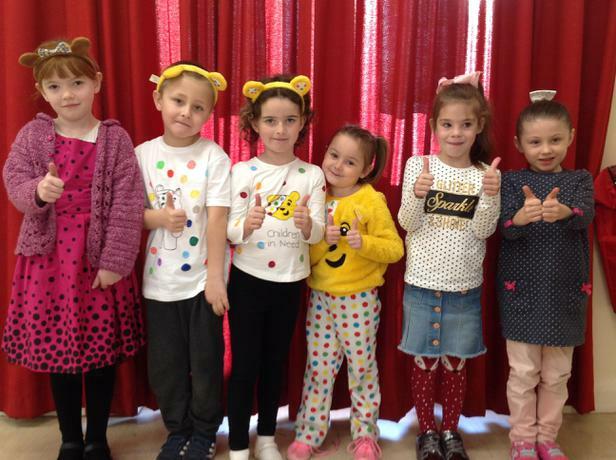 Don't forget to buy your RED NOSE from St John's Primary School. All proceeds go to Comic Relief. Congratulations to Jake who is our Head Boy and Su San who is our Head Girl. 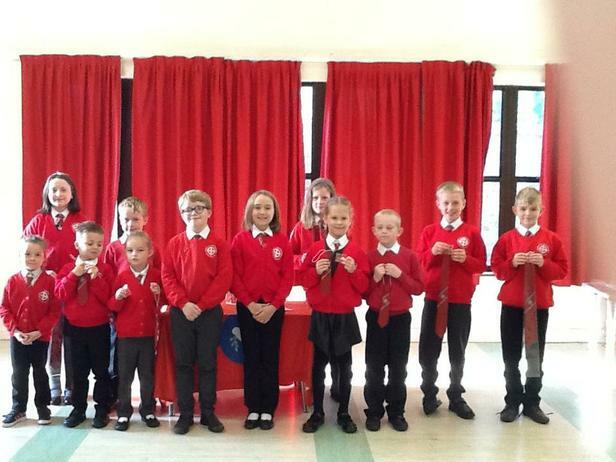 Our school has an active School Council, comprised of members from Years 1-6. 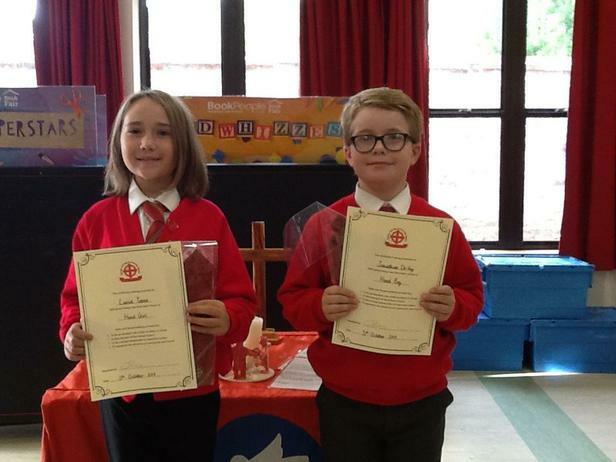 They are led this year, by our Head Boy and Head Girl. 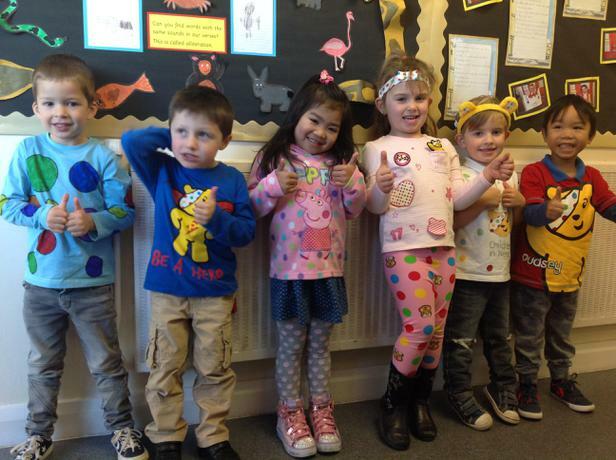 All children have the opportunity to elect the Council members who serve a term of 1 year. This year we are supporting a national charity. 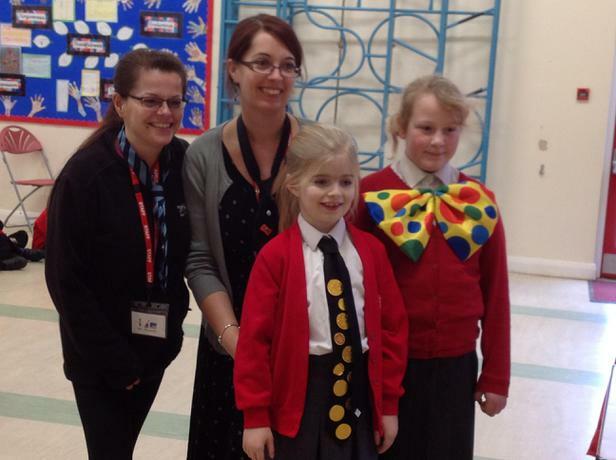 The charity, chosen by the school council, is Autism Awareness. We will raise during the course of the year. In previous years, the School Council has worked on the school travel plan, gained funding for a new, covered bicycle shelter and won the national Bronze eco-award. 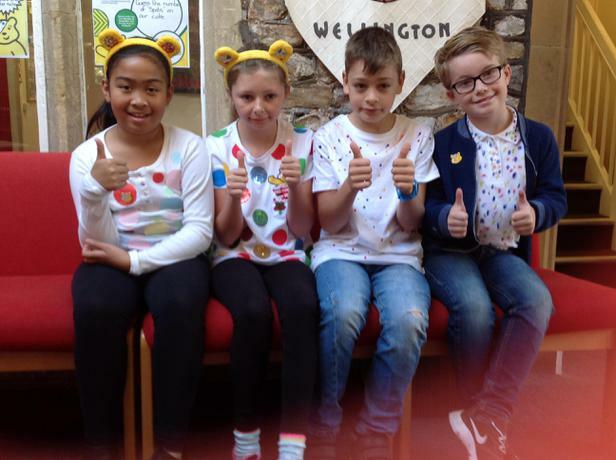 They have also fostered links between the school and members of the local community through participation in town events, Keep Britain Tidy projects and speaking at the Council Offices. 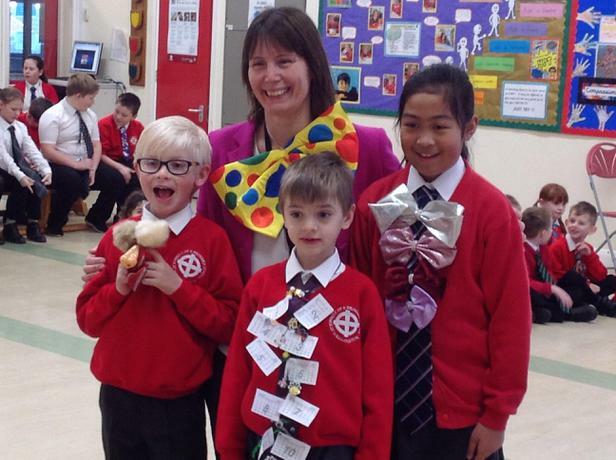 The Council members play a vital, real and tangible role in developing our school for all of the children who attend. 24th March visiting Conquest, our charity.